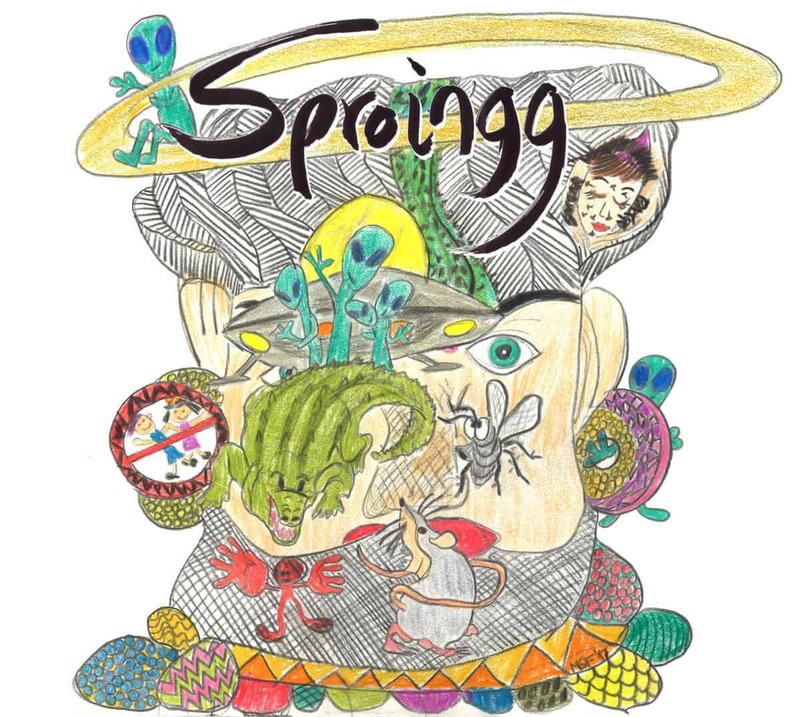 Sproingg is a fitting name for such a bouncy and lighthearted avant-prog trio! The band, which takes its roots in Germany, have just released their debut, self-titled album via bandcamp, and it’s one of those that you can’t afford to miss. First of all, one of its springy legs is Johannes, violin and Chapman stick player. The former instrument is uncommon but not rare, but it’s one of unfortunately too few opportunities to catch a band boasting a stick! That, on its own, is a good reason to check out this band, but you’ll stay for their bizarre, oddly rhythmic compositions reminiscing consecutively of jazz, 70s progressive rock, and modern experimental math rock. There is no doubt that we are listening to seasoned musicians playing what they enjoy the most. Fans of forward-facing instrumental music, I present to you your favourite band. To the others, why are you even reading this?